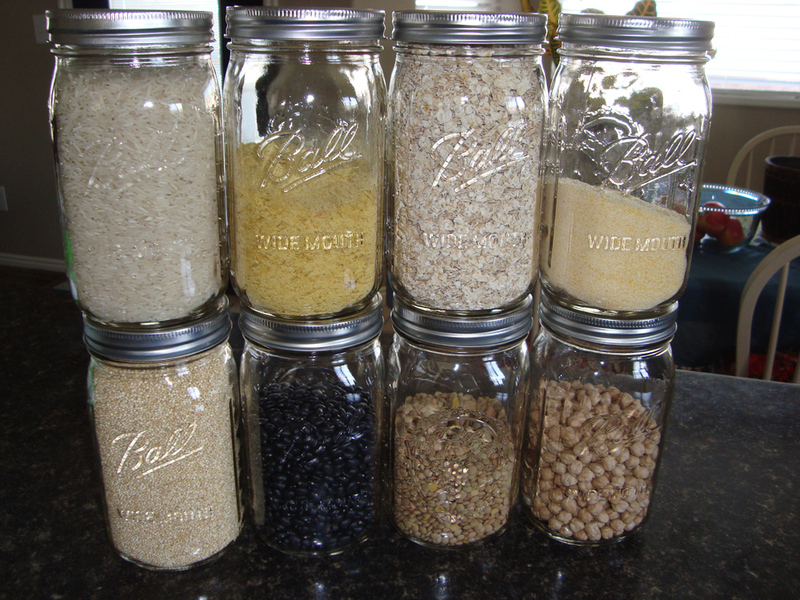 Thing #1: Totally love this simple grain/bean storage technique I stole from Oh She Glows. It is PERFECT because those random bags of rice and beans get totally buried in the pantry and it’s difficult to know how much I have left (I am loving the quick visual inventory). The only down side is if you buy bagged beans and such with the cooking instructions on them, you lose them. But I buy mostly in bulk, so I have to Google cooking instructions anyway – who needs bags when you have a browser? These are much prettier. I got 12 of these quart canning jars at Ace Hardware for about $10. They look beautiful, don’t they? Above we have Basmati rice, nutritional yeast, quick oats, polenta, brown rice, black beans, green lentils, and chick peas! Tasty! Thing #2: My boss recently hooked me up with a whole bunch of non-GMO, organic, heirloom variety beans she ordered online. No joke, this woman clearly knows me, eh? Who else would be so super excited about this!? Apparently you can find bazillions of varieties of heirloom beans online. Good to know! 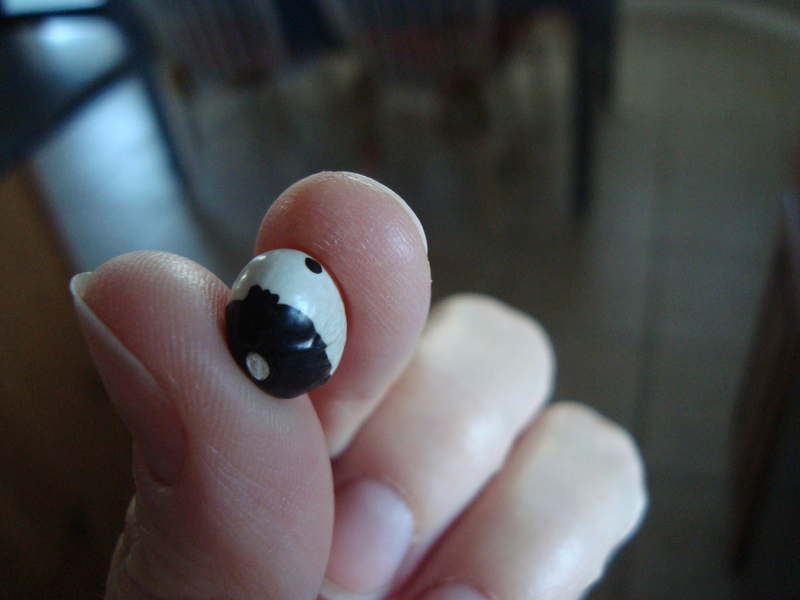 This is my fav- the Black and White Calypso Bean (aka, the Yin Yang bean). How cute are these? I put these bad boys in this Calypso Bean and Quinoa Salad recipe. I ate on it for a WEEK and it was delicious every time. So fresh and filling, it was the perfect pre-workout meal! What’s everyone eating these days? Do you have a good recipe for using dried beans? I’ve always been a little scared, but given how awful cans are, I think I’d do myself a favor by just using dry beans. It can’t be that difficult, right?